We have proudly served over 250,000 customers from 67 different countries since 2006. Fans, like you, have rated us the #1 online officials' sporting goods retailer and #1 in customer service. If you have a great shopping experience, tell us, and we'll share it here! Submit product reviews, good or bad, to help others decide what is best for them. Connect and interact on Facebook, Instagram, YouTube, Pinterest and Twitter. Read and share our blogs. Sign up for our newsletter to receive news, specials and tips. Support our community involvement efforts. Spread the word with fellow officials at games, in meetings, online forums, etc. Tell us how we can improve (i.e. a product, a website feature request, a typo you found). Ordering was easy and you guys had many items at cheaper prices that I needed. The gear arrived as promised with no problems. Super products immediately available and received in a timely manner. They are the BEST!!! I couldn't recommend them anymore! Best prices on many items and the absolute BEST customer service. I once had a pair of shoes I ordered from them and I had only worn them for 2 games. The rubber on the back started to come off and I thought I was screwed. I called them and they sent me a new pair the next day with a shipping label to send the bad pair back. No questions asked. You ask ANYONE, they are the BEST customer service you will get! This is why I am a VERY LOYAL customer to Ump-Attire.com! They are the BEST!!! Period! Fast delivery, website easy to navigate, got what I was expecting. Fair prices, will return to shop more. I purchased an e-gift certificate for my son who’s an umpire in another state. It was the perfect choice and totally easy to purchase on the Ump-Attire.com site. Great customer service! Very helpful in selection! Plus your in my hometown! Thanks guys! I have been impressed with Ump-Attire.com. What I appreciate most is their generous shipping and return policies. I have a very hard size to fit, so I ordered several different pants and shirts, tried them on, and then was able to ship them back at no extra charge. It was that reason alone I chose to shop at Ump-Attire.com. Their shipping was fast, their prices are fair, and the return policy sets them apart. Highly recommend. Great supplier of baseball umpire equipment. They have a broad range of products to fit any level at a very attractive price, and if your order over a certain amount, then shipping is Free. Ump-attire.com stands behind there equipment and returns are super easy. Every staff member I have spoken to is very professional, friendly, and knowledgeable, which helps whenever you may need a recommendation or suggestion. Great place to order from with Good products. Got my order way before time. I will keep ordering from them. Excellent selection and top notch customer service. Quick to get back to you and very helpful in suggestions if products are sold out. Great service quick and dependable will do business with them in the future. I’ve always had a great experience. Customer service is top notch. Orders are always delivered in a timely manner and they have plenty of stock. Great Customer Service and educational on the materials they sell. Ordered from them online, was emailed a back-order and given the opportunity to cancel. Their use of technology is second to none. Top of the line gear with top of the line customer service! No better place to shop for what you need! Amazing products at amazing prices!! Items arrived very quickly. Very satisfied with the quality of the gear that I ordered. Everything fit, all I had done, was to get the pants hemmed. I will order from Ump-Attire.com again. Thank you for your customer service. I have never had a bad experience with Ump-Attire.com. I am our High School chapter’s assignor and cadet supervisor and recommend you to all of our members. I’ve been ordering from Ump-Attire.com for several years now. The products are quickly shipped, and always as advertised. Look forward to further purchases. Great customer service. Ump-Attire.com is my go to for gear. Ump-Attire.com is a first class, professional company for umpires! I highly recommend them! Products were easy to find. There was a good variety of choices and good prices. The best equipment on the market. Always fast on deliveries. I've never had any problems with anything I've ordered from Ump Attire.com. Great service. Received within a week from order and allowed me to use for early MSBL tourney. Comfortable and dry! Happy with both the time my product arrived and with the product itself, would order from here again, Thank You! Great product, excellent service and fast shipping. Good quality products. Fast and to the date delivery. Thank You for your service. This being my 2nd year umpiring I thought it would be a good idea to get a new pair of shin guards that fit. I was very pleased with my purchase, the fit, the quality of materials/design/construction and price point. It also helped to be able to read the reviews of the products on your website. Thank you Ump Attire.com! I am very pleased with Ump-Attire.com, your products are top quality and will be ordering more soon as baseball season is around the corner. Great products. Shipping is fast and accurate. Very good company, Always working with the customer. Great company, I referee basketball and volleyball, they always have what I need. Quality material and items arrive in a timely fashion. Order was processed as promised. Shirt was of excellent quality and fit was as expected. I would highly recommend both the basketball officials shirt and the company. Second order from them, both exactly what I expected. I enjoy ordering from Ump-Attire.com because of the equipment that they sell, the service that you receive and the way that they stand by their products is outstanding and I recommend them to all of my fellow officials no matter what sport you do, they have you covered. Easy website to use. Fast delivery. This is a great company to order products from. They care about their customers and send everything out promptly. They are my preferred business for sports officiating equipment. Delivery was fast and product is great quality. Ump-Attire.com is an awesome company! I recommend them to anyone and everyone! Everything was exactly what I wanted and was described as the same as I received the items Great service and shipping was right on time as promised Will definitely use them again and again for all my Football Referee needs! Always on time. Reasonable pricing. Never have had an issue with product, service or delivery. Thanks so much for a quick delivery. I needed and you got it to me the day before. Order was perfect. Received fast. Thanks. I recommend Ump-Attire.com for all your Umpire needs! Website is easy to order and understand the product viewing. Videos of some of the items also help determine on purchase. Great doing business with you as always! Always a good ordering experience. I always know my orders status. You do a good job of that. Thank You! Your team continues to respond professionally! Love Ump Attire.com! Always the best price & great quality. Fast shipping, too. Thanks Ump Attire.com, your always quick and efficient. Very easy to order. What I am impressed with the most is how fast the products arrive. I ordered on a Friday afternoon and received the products on Monday. 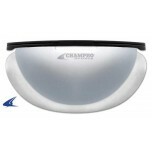 Very fast and easy to use and always have quality products and fit nice. Great product, delivery in reasonable time. No hassles. All good. Awesome and fast service! Thank you! Quality product, was delivered on time appreciate you keeping the larger size items here, kind of a big guy and these can be hard to find. Again thanks. Your customer service is 2nd to none. Always fast service. The best umpire-gear shop for me! Best customer service in the business. Experience second to none. Quality products at great prices. Customer service is excellent. Should be your first stop, for Umpire gear! Great service along with a great price. Can't beat it! Great equipment and apparel from people who know officiating and customer service. They carry all items to outfit a referee and reasonably priced. Items mailed quickly and usually arrive within 3-5 days. Great site, will continue to use them each year. Great products, great transaction. very happy customer. They are professional and very helpful. I appreciate the return policy. Love the quick service and the great products. Great service and very fast, made it before the Friday night game. The website was pretty well organized and I received my order efficiently. I got back into umpiring this past season due to the shortage of officials. Purchased new chest protector, shin guards, and clothes. Found Ump-Attire.com on the computer and I am very pleased as a customer for the choice of products that you handle, the information about each product, the reviews, ect. You have great service and it shows in how you treat your customers and their respect for your company. I did just purchase new plate shoes and 2 Majestic shirts but have not put them into service. Keep up the good work. You are major league as a supplier! As always your products and customer service is and was excellent!!! Great service. Fair prices. Prompt shipping. Will do business with many more times. Excellent service and ship times. I do basketball, baseball and football and always order from Ump-Attire.com. I trust the site and know I will get fast and quality help. I will be coming back. Jim and his staff are second to none. Being a Canadian customer, have always been looked after, promptly & efficiently. NO COMPLAINTS at all. Been dealing with them for a few years now. CONTINUED SUCCESS!!!!!!!! Always get what I ordered in a timely fashion. Great products at great prices. Shipping is fast and they communicate well. Great return time on items. All items were exactly what i needed and looking for with a quick delivery. Second purchase from Ump-Attire.com, been satisfied both time. Will always go to you guys first for my umpire needs!! Great items at a reasonable price. Customer service is out of this world. I ordered the New Balance challenger mock neck which was too big, no problem at all. Free returns and replacement shirt was here within a few days. A+ operation!! Very pleased with the merchandise that I purchased. Excellent website and quick shipping. I like the the offerings of equipment for all types of officiating. It would be great to see a little more deals or discounts. The service is excellent and always in a timely manner, which always helps. Great company to deal with. Fast and easy no problems. Ump-Attire.com is GREAT! They get your order, charge your card instantly and fill up and ship the box the same day. They are very fast. Even more importantly they get the order correct every single time. They sell high quality products. They have extremely helpful product reviews performed by Scott Kennedy. I've spent over $2500 -- all of it online -- with these guys and they consistently provide absolutely top shelf goods and services. And they consistently do it at the LOWEST PRICES in the industry. I'm giving them five * * * * * (5 stars), but only because I can't give them TWELVE. I'd like to give them even more, but 13 would be bad luck. If you're military or former military which I am you'll get a 5% discount, just make sure and ask for it. If you're a NASO member (which I also am) you get a 10% discount. Those discounts add up to real savings! Everything which Ump-Attire.com does is from the standpoint of a customer. I can tell these guys are sports officials because of the passion and obsession they bring to the job every day. They are absolutely a top shelf company, right up there with USAA and Amazon. These guys are THE VERY BEST! I have ordered several times from Ump-Attire.com and have always been satisfied with the products and their timely delivery. Awesome customer service too. My purchase was received on time as promised and it was exactly as advertised. I have ordered several times from this merchant and was always pleased with the service received. I will continue to purchase in the future from this merchant when a need arises. Very good customer service. Great guest service, products. Highly recommended for all officials to use Ump-Attire.com. The best online store for your officiating needs. Excellent customer service with quick delivery! Scott Kennedy is the man! Living out of the US, the delivery has been on time or early all the items have been exactly as ordered and of the highest quality. Have in the past and will in the future recommend this company to anyone interested. These guys are on top of their Game!! Great customer service and super fast shipping. You will get what you need before you next game. I used to order extra stuff to stock pile, got expensive having to have so much back up gear, no need with Ump-Attire.com, they will get you what you need really fast! 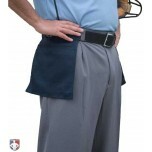 Ump-Attire.com is YOUR leading authority for umpire equipment. They are the go-to place for gear and apparel as evidenced by their partnerships with top conferences and MiLB. They are a pleasure to work with. I recommend them to cadets and veterans alike, even over more local businesses. They are my first stop when looking for gear and they should be your first stop also. The only place to go for umpire products. Always great experiences and even better now that they offer free returns. The best website for buying all sports official equipment. Great at keeping up with all the newest officials apparel and gear and always giving officials the best opportunity for superior equipment and customer service is the best in the business. Easy to work with & quick shipping. Ump-Attire.com is the best supplier of equipment for game officials hands down! Customer service is A-1! Selection and prices are top notch! The best place to buy any official gear necessary 10/10 would recommend!! Great company to order from. The 2 minute reviews are great!! Great selection of equipment, exclusive dealer for Wilson gear. I purchased a West Vest chest protector and upgraded the harness. Only used them a few times but liked the new gear a great deal. Great Customer Service. I came into the office and the customer reps. were so helpful. Excellent Service. Quick and Efficient. Thank You. Good experience, website is good, products were sent and received on time and in good condition. First rate, easy to purchase, prompt delivery. Items provided were as advertised, in stock and delivered on time. Ordering was easy ... packages arrived early or when scheduled. Return wasn't the best but acceptable. I loved the fast turn around on my football shirts with the logos on them. Very impressed!!! I will continue to buy from you guys for my official needs and let people know how good you guys are. Excellent selection with competitive pricing and quick service. Customer of Honig's for years but have made the switch to Ump Attire.com. I appreciate that I get everything in a quick manner. Everything fits great as well!! Excellent products I’m 100% happy and excited, thanks!!!!! The shipments have always been on time and the prices are comparable. Nobody can touch them on selection. Ump-Attire.com has always delivered top quality products with great customer service. I highly recommend them to anyone. I’ve never had a problem with an order or with the delivery. Outstanding selection, great prices, quick shipping. Will definitely shop here again! This is a top notch professional organization that understands umpiring needs. DO not hesitate to order or use any material this company sells. They stand behind their products, providing full product support! Very good company to do business with!!!! Fast, reliable and accurate with every purchase. AAA+ great product fast shipping! Fast easy and always helpful. Get most of my gear and stuff from them. Excellent customer service! My first time ordering and had a problem with my order. They went above and beyond to fix it. I was so happy! I will be ordering from them again. Always offering the best quality in their products and above all the best service in the industry. Won’t buy from anyone or from anywhere other then from Ump-Attire.com. I trust that they will always give me the best product at the best price and will always stand by what they sell. Absolute best product and prices for any and all Umpire clothing and gear. Will never go anywhere else to purchase what I need! Thank you all so much! This is my “go to” place for everything that I order and need for the season. Customer service is great and if I have to return something, it’s easy. Great prices and shipping arrangements. Customer service is quick to respond. Nothing more to ask for in a company. Great people! Met the owners at the UmpsCare golf outing in AZ. So personable and inspiring! I have never had an issue with Ump-Attire.com. The staff is very professional and orders are delivered in a timely fashion. Good Customer service from people who understand what the average officials needs are. They really are one of us. Great customer service. Very knowlegable about the gear they sell. Ump-Attire.com has helped me with all of my baseball umpiring needs!!!! Friendly staff and very quick shipping. I have referred to all of my umpire friends and will continue to do so!!! I have been purchasing all my umpire supplies from Ump-Attire.com for a few years now they have been absolutely terrific to work with. The products they have offer are top notch and great quality. Their PR group does a great job of keeping us up on new technology on what is out there for equipment, apparel, accessories for all our umpire needs and their customer service department is top notch and very helpful. I had never felt comfortable ordering clothes or shoes online, and then Ump-Attire.com made the experience simple. Everything is at my house within 2 days! Best service! 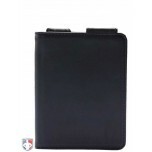 Excellent website with great items for any sports official 10/10 reccomned to anyone! Wouldn't buy my gear anywhere else. They always have a great selection and awesome new products. The customer service is excellent and everything always arrives quickly. Always the right call to order from Ump Attire.com. They always hit a home run in customer service from the start order to the timely delivery of the outstanding products I have ordered. I also enjoy the personal messages from Scott Kennedy and his instructional videos on new products! Thanks for all your time and talents folks! Customer for life! I am super impressed with all of the products I have purchased fro Ump-Attire.com. Expecially the latest purchase of the West Vest and Wilson helmet. I am impressed with the timely manner I received the equipment, wore them tonight and was very happy with the comfort of the CP and helmet. Thanks again for being #1 in umpire products. Best in the biz! Great people working there! Always a pleasure to deal with. I’m a big fella who calls all three sports and they’ve always came through for all my needs! Very good company with very professional staff. Everything I’ve ordered has came in a timely manner with no complaints. Will recommend to other sports officials! Thanks Ump-Attire.com. Top level customer service & products! Also do a great job of engaging with customers on social media! You guys are awesome! Not only do you have all the best Products for the right price you guys are very active in the umpire Community and give back! You listen to the people and constantly get the best product on the market! Ump-Attire.com has everything that is needed. Another great aspect is to review previous orders in case anything else is needed. Customer service is awesome, if anything is needed to be returned, there is never a hassle and shipping is easy peasie! Product reviews are dead on and with the help of Scott Kennedy, it’s a true hands on experience that is spot on! Truly a company that cares about the customer and always looking to improve...never settle!! I could shop for equipment within driving distance from my home, but I would rather pay the shipping fees, no matter what the cost. When you trust and know that Ump-Attire.com has the best product out there, it doesn't make sense going anywhere else, no matter how convenient or how much you might save!! I'm staying with the best...Ump-Attire..com and forgetting the rest!! Great equipment at a great price. I buy all my gear through Ump-Attire.com. For starters, best customer service and return process. At Ump-Attire.com, you find everything from exclusive pens to the latest undershirt for umpires; they even offer the manuals the pros use! Also, every product is accompanied by a video review starring our “man” Scott Kennedy, whose knowledge and years of experience allow us officials to really be confident in a product. As if this weren’t enough, Ump-Attire.com also has plenty of giveaways that showcases cool items from the world of officiating. To wrap this up, I would go with Ump-Attire.com blindly: best prices, best service, and most knowledge. Awesome company! Great products! Facebook page is great as they are always keeping up with the new gear! Great customer service, quick delivery after order and quality products. Awesome company and a truly honorable man at the helm in Jim. Umpired Indy ball a few years ago and had a mask break. Jim and his staff got me a new one ASAP so I didn’t miss my next plate job. Anytime I’ve had a problem with anything they have taken care of it or pointed me in the right direction. High quality products at competitive prices and excellent customer service. Definitely the right choice for all officiating needs for just about every sport. Great site for gear and accessories!! Love buying products through them. GREAT customer service! Always great customer service, fast shipping and great selection of products! Everything I have ever purchased has been top notch. Love this company for their officials products. This company is amazing in more than one way! There apparel and gear is the best stuff you can buy and shipping is extremely fast! They also support Wounded Warriors Umpire Academy which is something they choose to do! Thank you Ump-Attire.com! Great company! Customer service was fast and worked quickly to ensure everything was right. The team took the time to answer questions I had since I am a new Umpire. They made me feel welcome and ‘welcomed me to the brotherhood!’ Thank you for what you do! Latest products at competitive prices and excellent customer service! What more could you ask for? The company is awesome and the product’s I’ve ordered have all been the best. Quality is really good. I will continue to order my Umpiring gear from Ump-Attire.com... thank you all for the great customer service. Customer service is amazing and they everything you are looking for. After buying equipment and clothing from other companies in my last 26+ years of refereeing and umpiring, Ump-Attire is without a doubt the best company that I have ever dealt with. Their products and customer service are second to none. Love the service you get when you place an order. Never had any complaint with the company. Ordered a patent leather belt Sunday night and it arrived today in time for a regional Babe Ruth tournament this weekend. Thanks!!!! I'm not an umpire nor do I play one on TV, but I am an umpire Dad. With the help of the fantastic crew at Ump-Attire.com, I was able to send some badly needed, Wilson gear, to my son who is a thousand miles away umpiring games for the summer. Gear showed up at the hotel with plenty of time to spare before game time. This was not the first time we called on Ump-Attire.com, and it certainly will not be the last. Top-notch products and top-notch service. Thanks! In my 39 plus years as a sports official in five sports I have purchased from many companies. I have received good products and good service from each one, but with Ump Attire that have taken it all up several notches. The customer service is absolutely the very best and this company carries great products. No one has ever shown me that they understand my needs and wants like this company. Second to none and way ahead of them all. Thank you all. I have ordered most of my equipment from here. The products and customer service are top notch. I would recommend Ump-Attire.com to any official in any sport for all there needs. Not Only THE BEST Gear and Prices In The Game, but ABSOLUTELY THE BEST Customer Service anywhere!!!! Absolutely amazing company with awesome customer service. Their prices are great, the deals and sales are always good to see, and shipping is top notch. I have placed two orders in the past two weeks and received both shipments way sooner than expected even with free shipping. This has been a life saver as I wasn't expecting to get my items in time for two separate tournaments. The staff does not hesitate to respond in a timely manner when you have questions or issues. I recommend Ump-Attire.com to everyone I work with and come across that ask where I got something in particular. Great and varied products, speedy delivery. Have used different companies, Ump-Attire.com ranks as the best!!! Always a great place to shop. Good prices and great customer service. Very responsive and helpful. Always great prices, great service, and ships right away! I've gotten every bit of equipment that I have used over my 12 years umpiring through Ump-attire. They have the best quality at the best price with quite a variety to choose from. Not only that, their customer service has helped me correct some mistakes I have made in ordering quite quickly. Lastly, they ship their orders fast! Even at standard shipping it comes within 3 to 5 days which is great! I will continue getting all my equipment here and encourage you to do the same! Without a doubt the only place I'll order my gear from now. Fast turn around on my orders. Products are exactly as described. Awesome costumer service. Tried the rest, but these guys are the best. Great service and quality products for officials! Absolutely love getting all of my officiating gear from Ump-Attire.com! These guys know customer service better than anyone else in the business! If I could get all of my assigners to transfer their logos for the respective leagues I work in to Ump-attire.com, they would be the only business I buy my gear from! Keep up the great work guys! You’ve got a life long customer with me, and I’m only 25! Great service. Easy to work with and great turn around time! A must to use if you officiate! Fast service. Good prices. No problems with returns. Just wanted to say how I appreciate your site and great customer service. I've ordered several items from the site and have been impressed each and every time. Continue to be the leader in supplying umpiring gear!! I ordered online without any problems. Your service is always very good. I will be purchasing more clothing and equipment in the very near future. I can always find good products on your site. There are always good new products. Fair price for quality product. Shipped quickly. I have had nothing but good experiences with your company and products and will continue to use them. The experience with my order was excellent! Recieved my order within three days! My order was easy and the delivery convenience. Ordering has been very easy. Whenever I need more equipment or clothing, I know I'll be well taken care of by y'all! The products got to me quickly. I haven’t had a chance to use any of the products yet but will be in the following weeks. They seem to be great quality. Look forward to purchasing from you again. Always a pleasure to do business with Ump-Attire.com. Even with exchange rates as they are, your selection and prices make you a great alternative to long searches of Canadian suppliers. Fast delivery. Great customer service. When product had a problem, quick easy steps to get it replaced. It was a matter of minutes and a new product was shipped. Very happy. Always easy to work with. Quick response if there is a shipping issue. Great turn around time from order to receipt. Great products.. Great service. Nuff said. Everything is amazing on this site. I will always order from this site. Customer service is amazing. Excellent quality clothing and equipment. Always on time. Thanks! Amazing staff always ready and eager to help. Shirts were everything I expected. I would recommend Ump-Attire.com to all my colleagues.Thanks for the great service! Really like your business and for the most part, your staff has been very helpful to a first-year umpire. I was 60 last Saturday, been a basketball official for 43 seasons, played D1 in the 70's, I know my stuff and I know people. If you take care of me and offer me a lil' somethin' or take care of an add-on and get it into an order to save shipping cost, it is appreciated and rewarded with more purchases, thanks very much! Products came quick and are what I expected. Always there when we need to restock the gear. Love the products and the quick order turn-around! The ability to track my shipment in is invaluable. Sometimes I have to change the delivery option and this allows me to get my order on my time and terms. My experience with Ump-Attire.com is PRICELESS!! Very easy process and quality products delivered. The onsite pickup was smooth. Many thanks! Great Product and Service Very Satisfied! Thank You for all the products I have purchased from Ump-Attire.com over the years. I really enjoy buying what I need when I need it and at a reasonable price. Great products, always easy to work with! I have ordered a lot of baseball gear for my husband. Love everything! Great product, support staff backs the products (good or bad... issues or not) also answer questions and deal with any issue directly. Called/emailed for an issue, had a hard time making contact with a person initially but had a rep call me back and the issue was addressed, handled, and processed Next Day without delay or hesitation! Alway great doing business with Ump-Attire.com. Keep up the good work. Great products with timely delivery. All good. Great job on getting what I want easily online and shipped to me quickly. Fast, easy service and the employees are amazing! My husband looks sharp in all his new equipment! Thank you. Latest & Best products on the market! Affordable and competitive pricing, #1 Customer Service... One stop shop! I don't order from anywhere else. Hands down the best cust service out there. Not too mention the best products. Thanks for everything! Great product. Great service. Great prices. Always quality and good prices. Ships quickly on the products I have purchased. Very helpful and great product, fast shipping!! Highly recommend!! Superior service. Superior products. Best in class company serving the needs of sports officials across North America. Excellent service. Never had a bad experience in the 3+ years I’ve used them. Phenomenal customer service and products! My items were delivered on time. The products I ordered were of very good quality. Excellent products with great prices and fast delivery. I buy all of my umpire equipment here. Good products and a real fair return policy for merchandise that turns out not to be what you expected. I recommend. Great products, customer service, very quick turn around and shipping! Quality products, the absolute fastest at processing orders; nobody like Ump-Attire.com! Everything I ordered came to me real quick. Site is very easy to navigate. Quality of the products I ordered was great. Very satisfied. Great choices, great products and great prices! Terrific customer service. 5 star rating!! Remember, I only call em as I see em. Was easy and simple to shop and buy and if they were out of stock they will send you a email to remind you that they have restocked the item you wanted. Fantastic!!!! Excellent service ,delivery, quality. I have been shopping at Ump-Attire.com for years. I have always found them to be quick and reliable. VERY GOOD PRODUCTS AND VERY FAST DELIVERY OF MY ORDER! On time and as ordered. Can’t ask for better than that unless Kennedy delivered it himself. Ordering was a breeze and I think I received the product in less than 5 days! Service was great and enjoying my equipment. Service was friendly and helpful. Very satisfied with all of my purchases. Everything fit true to size and was shipped quickly. Quick and easy service. Good customer service. Great products very fast delivery. Really enjoyed ordering with Ump-Attire.com. They are quick to get your merchandise to you. I tell all new umpires about this place.. 5 stars! Everything was great including shipping. I have used Ump-Attire.com for a majority of my umpire equipment. This company is outstanding and provides an incredible service. Thank you for all of the wonderful videos to assist in purchasing specific items. Excellent service, and ease of ordering! Great company! A great experience from ordering, to delivery to an excellent quality product. Excellent order and timely delivery! You folks have been helpful and expedient with my orders. I will continue doing business with you in the future. Thank you. Good quality product and arrived within days. All the products I have ordered has been great. Good products at a good price. Order was filled and sent on time, accurate and well-packaged. Prices were very reasonable compared to other equipment sites. Good experience and I recommended the site to fellow officials. GREAT SERVICE, exchanges are not problem at all!!! Great products at reasonable prices, great customers service, and quick delivery. I've never had a problem ordering with you, the equipment and clothing are great and competitively priced. In addition to this, the order arrived within 4 days. I'll have no issue ordering from you in the future. I purchased a high quality die cast metal Umpires Indicator. Product was delivered in less than estimated delivery date and was exactly what was described. Thank you Ump-Attire.com! Very good job. Everything was right great prices and great equipment. Thanks. Great place, I’ve been a customer for over 5 years. Quality products. Great service, I'll be back for sure! Purchased hi gloss belt and flip up scorecard holder. Great product quality and accurate delivery. Thanks a bunch. Looking foward to purchasing for product from you in the near future. The product is great and it was a fast turn around on the delivery when I placed my order. Thank you guys for the great product. Excellent place to purchase items, new Smitty umpire pants fit great and are very comfortable. Fast shipping, great to do business with. I ordered for the first time recently. Canadian customer, live near the Port Huron border so had it sent to a Parcel Pickup Depot. Got it in less than 3 days!! Customer service is A1! My only regret is that I can't rate them higher than 5 stars! Customer for life!! I have purchased items from Ump-Attire.com expecting delivery in 3 or 4 days, and have received them in 2 days from the acceptance of my order. Very customer friendly if you have any questions or concerns. I will continue purchasing from Ump-Attire.com in the future. Great products. Ordering was easy and the shirt and jacket I ordered arrived on time and they fit perfectly. My experience with Ump-Attire.com was excellent. Paying was easy the products came on time, all in all a very good experience. Great organization. Quality products at a fair price. Great selection, and the free shipping on certain items is a plus. The shipping time is also very good. 5 Stars in my book ! Order was quick and easy and delivered on time. Real simple point, click and check out! Excellent service with excellent products just as stated online. Best officials' store out there. Excellent company. They give you all the information you need to check the status of your order. Great products. Speedy shipping, no issues at all. Always used and will continue to use Ump-Attire.com. Very good products, and fast shipping. Your delivery time is always on time or earlier than the delivery date. Good products and good tech. support. I'm glad to be doing business with you. Tried to purchase a Smitty jacket from two other places. At both places I was allowed to order and then waited. One place even sent me a "shipped" notification. I waited a week and finally called both. Told OUT OF STOCK! Finally you guys had them back in stock. I ordered immediately. The process was detailed and flawless. Great followup on the order. You could just tell things were going to be better just the way the order process worked and the look of the website. The service I receive is always above and beyond excellent. Shipment is on time or faster. Products are excellent. Thank You. Best products and 5 star services! It’s a great company. Ordered several items from them they all showed up and looked and preformed wonderfully. Always have what I need and when I need it. Great customer service. Great prices. First place I check when I need umpire gear. Hands down, the best umpire gear company I've ever dealt with. Good selection of quality gear, timely shipping and the return policy is unsurpassed. Highly recommended. Very simple, very expeditious and would not hesitate to order from this company again. Always a five star experience working with you guys. Your products are awesome. And, I get them in a timely fashion. I appreciate everything that you all provide. Thank you again. The overall experience Ump-Attire.com from ease of ordering to pricing to the delivery was an excellent one. Thanks. Products seem to be durable and I have never have had a bad experience yet using you all. The apparel I ordered was perfect and received them in a timely manner. Thank you. I’m am very happy with all of my gear. Your products and services where exemplary. I will be ordering from your company again. Good products that arrive on time. Congratulations! You're are doing good job. I loves your services. Got everything great. Easy website! Thanks for being so easy to work with. Always provides great service and provides the best product. Easy site to navigate around, prices and offerings are far more superior then any other Umpire site I have visited. Fast delivery, arrived a day soon then expected. The items ordered were as described. Why shop for gear anywhere else? Ump-Attire.com has the best selections, very competitive pricing and the quickest/most affordable delivery. When my fellow officials ask me where I get my gear & uniforms - I don't hesitate when I say Ump-Attire.com! Very helpful and shipped order out quickly. Competitive pricing also. Always the best products at the best prices. Efficient, as advertised, and on time. Would buy from them again. I have purchased equipment from Ump-Attire.com for more than 10 years and am very pleased with the quality of both the service and items purchased. I don't know if I would go anywhere else for my umpire equipment. Always great customer service, shipping is fast and great products!! The best experience I have ever had on a internet order! Order on time. Tracking order in transit was a relief knowing it would be at my door and not lost. Website was easy to navigate. Ordering was no problem. Delivery was quick. Without a doubt the best customer service of any official apparel store. They have great products at reasonable prices. They are great about getting your order to you in a timely manner and let you know if any issues come up. Had to return an item. They made it easy and painless. I would gladly do business with them again! Strong customer service interaction, helpfulness, and reply time. Good return/exchange practice and policy. Quality product. Great customer service and quick resolution of any issues. Just placed and received my first order. Perfect customer experience end to end. Well done. Great people! Amazing customer support always willing to help me with any product question I have. Only spot I go to get ready for the season! Very quick delivery and quality products, have used before and will in future. Excellent service, good pricing, and good products. Enough said. Products in great shape as usual. Switched two years ago from Honigs.com to you guys, and will never go back! I wish you carried the CFO Under Armour style 2" shirts and pants, but I believe those are limited to certain organizations. Look forward to making more purchases through you guys! Thanks for helping keep officials in the game! 5 stars from me. Great service. Great products and great service. No problems. Recommend to others who need umpire gear or clothes and jackets. Keep up the good work. Rate you 5 stars. I've always got great, quick turnaround from Ump-Attire.com. They are tops in customer service! Keep up the great job! Quality merchandise, quick service and reasonable prices. I had a great experience every time! Ump-Attire.com is THE go to place for all official needs. I have purchased numerous items from plate shoes to shin guard straps from them. I would recommend them to anyone. Scott and Jim do a great job. I have been ordering from Ump-Attire.com for several years now. They ALWAYS have the best & newest products along with great prices. I have always received my packages in a timely manor. Last, but not least, their customer service is second to NONE.....They are "top notch!" I've gotten most of my needs with you guys and have been satisfied and will continue to get what I need. Very pleased with new Wilson umpire mask. Very happy with the quick service and delivery of the mask. I will use Ump-Attire.com for my need again. I would recommend them to everyone. 5 stars! You guys are the best, I will always buy from you and recommend you to all. I love the all the products I purchase from Ump-Attire, good, quality products. I ordered on Monday and received it on Friday. You guys rock! That is outstanding service. The poly spandex umpire pants from Smitty are the real deal. I love them. Always the best service and products on your site. Been a customer for a long time. Perfect, easy and quality in yours products. Thanks for your interest in my opinion. Safety is paramount! Thanks for making me safer! Excellent service and very fast shipping. I love your products. I find the pricing better than most and customer service outstanding. Experience was 5 star as always! I recently had an issue with a mask I purchased in May. The finish was coming off it. I contacted Ump-Attire.com and they told me it was clearly defective and they would replace it. I returned it free and followed the shipping with the transit number. I could see it arrived there on Tuesday morning at about 7:00am and by 1:00pm the same day the replacement was on its way. I received it today. Less than a week after I brought it to their attention. Amazing customer service!! I would recommend them to every official I know. Great products. Fits well, well worth the investment, great service, quick delivery. Very satisfied!! Ump-attire is awesome. Great products, and very helpful reviews of the products you sell. I would highly recommend you guys to anyone. I will continue to purchase my gear from ump-attire.com. Equipment is always as promised. Prices are good, delivery is great! Love the quality of the Smitty jersey with the extended tail, helps keep It tucked in place. Delivery and service was excellent. Need a better way to send as the delivery costs were the equivalent to two officials jeresy. Especially when we figure in exchange rate. Need a representative in Canada! The customer service at Ump-Attire.com is second to none. If you want to return something, they ask no questions. Plus, they get you the stuff you need in a timely manner. Always happy with the selection and services from Ump-Attire.com timely fashion. Ordered received as placed on time. Process was smooth. I have ordered 2 pair of Smitty Umpiring pants (plate/base) and they came in a timely manor and I got a great quality product. I've been buying my gear from Ump-Attire.com for several years now. I'll continue to buy from you in the future. Thank you. Ump-Attire.com has everything you need and customer service is the BEST. Ump-Attire.com is a great place to get gear....hope you should start working on soccer referee gear and other sports gear. Ump.Attire.com provides 5 star service. Exceptional Communication through whole process & received both orders in 2 business days without incurring extra costs!! Very fast and all products were great. Fast and Fantastic Customer Service!! You've become my only place to get my stuff for baseball and football, and now my son is doing football too. A return and an exchange were done no questions asked. Free shipping that's timely. Great products. Keep up the good work. Thanks. Great products and quick service. Products were great and delivered in a quick and timely manner. Can always count on the staff at Ump-Attire.com to get the officials their orders in a timely manner. Great products and timely shipping as well. Thank you! Fast and fair - thank you! This is the only supplier I use for all of my referee needs. Everything was shipped in a timely manner. Very satisfied. Every product I have ever purchased from Ump-Attire.com has been top notch! Purchasing online was simple, fair pricing, & fast delivery. Great service! Easy to order product! Fast delivery of product! Great prices! Never disappointed, always receive my products asap. Great customer service, prices, and delivery times. Always a fantastic experience dealing with you guys. I'm very happy with the product and service and shipping times - keep up the good work. Good pricing and fast shipping. Had an excellent experience. Ordered Adidas caps and received my order confirmation immediately. Had the caps within 2 business days. Will now get my business instead of H--------'s. Service is great. No problems, always on time of delivery date. I Love the way the shirt I ordered feels and looks. The 6" flip card holder is as advertised, well made, and works great. Highly Recommend Ump-Attire.com to anyone and this is my 2nd Finger Whistle and I Love it. Great Place to Shop and get the gear you need for any sport you might do. Everytime I order. My product arrives on time and is what I ordered. I will use Ump-Attire.com again and again and Irecommend it to my fellow officials. Ump-Attire.com is the best source for everything baseball in my mind. Customer service is top notch, they are all really passionate about what they do in support of sports officials for gear and apparel. Anytime I need anything Ump-Attire.com is my number one choice over all other vendors. I had a wonderful experience with Ump-Attire.com I purchased a pair of plate shoes a little over a year ago. One of my last games this year I went to tie my shoes and one of the eyelids ripped. I noticed that the metal that was on the inside of all the eyelids was not on the one that ripped. I first started with the manufacture but they referred me to Ump-Attire.com I emailed their customer support and Sherie got right back to me. She directed me on how I could send them in to be looked at for a defective item. I honestly thought I was going to get them back in the condition I sent them. Shortly after they arrived at their location, I received a tracking number for the return of a brand new pair. Many companies would have not done what they did. I will continue to spend my money knowing I will get great customer service. Excellent products! I am quite satisfied with these items. Quick, painless & accurate execution of my recent order! Fair value price combined with not being over charged for shipping makes my gear even more pleasant to wear on the field! Thank you! First time using Ump-Attire.com and so far so good. Website was easy to navigate. I have not had to return anything yet but I hope that is as easy as buying was. Great product, works well. I like the size. Basically I never had a prob with Ump.Attire.com You guys does an excellent job in customer service - you confirm on time, ship on time and always make sure that the inventory is accurate. So far, I'm very satisfied. Ump-Attire.com is always my first choice when ordering or recommending a fellow official where to purchase and expect expert service and shipping to receive your order promptly! Awesome business! Great product and as usual, great service! Product is far superior than that the other ones available. As always a great experience. Ump-Attire.com has become my supplier of choice for some time now. Great service from great people. Keep up the fantastic job everyone! An excellent page with the best attention and high quality products handling articles of various sports. Great shirt at a great price. Quick shipping and product well packed to avoid any damage. Thanks Ump-Attire.com! Always top notch offers and almost always in stock items. Shipped when they say and arrives when it's supposed to. Very good product and customer service was great when I called concerning the mistake I had made. Great people, great gear & prices - it's a one-stop shop for all things umpire related! The new MLB shirts are awesome. They run a little large for reference. Service was fast and efficient. I'm working on my 3rd order this summer. I ordered I think thursday and got it sat. Thanks folks. Product is great and got to me quickly. Great response and quick delivery. First class. I love shopping with you guys and recommend it to every umpire I know. Ump-Attire.com is my Go To place for all my umpiring needs. These guys get it to you quickly and have stuff in stock for delivery. Keep up the good work! Your guys are solid with fair pricing. Great job with all of your products! I'm happy with everything I have purchased from you guys!! Service is outstanding!! Thank you. Your sending orders out is extremely excellent. I order a new blue shirt last week for the 4th of July tournament this coming weekend. Today is Monday and I leave for the tournament Thursday night. I got my order today, but it was not the same blue that I ordered. I called and talked to Josh who was AWESOME and he is sending me the right shirt and made sure to get the right shipping so I will get it on time. Great customer service all around. I will never order umpire gear from anywhere else! OH I ALMOST FORGOT! Free return shipping!! My go-to place for umpire gear! Outstanding customer service, competitive prices, and pretty much everything you need for umpiring baseball. Keep up the great work! Love all the things you all have. Great and quick service. Great customer service representative handled my phone call and processed my order. Always shipe items in a timely fashion, Always my first choice for official gear. Outstanding customer service when the USPS misplaced my package no fault to Ump-Attire.com. The CSR jumped on the situation and had a replacement shirt to me the next day. I enjoy the ease and quickness of ordering the products I need from Amp-Attire.com and how I receive it in a timely manner. Thank you. Like every other time I have purchased anything from you, perfection!!!!! Easy to order, quick turnaround. Great company and customer service. Great place to buy all your officiating gear and materials! Outstanding people to work with. Always there to help. Very impressive inventory and very easy to work with. Customer service goes above and beyond expectations. The new standard in sport official equipment and attire. Highly recommend! Good place to buy quality referee gear. Quick shipping. Always a great experience from start to finish. The pricing and service are all top notch. Great, company policy...been a long time customer. Always, receive my orders​, earlier than expected... Thanks. Everything was shipped and arrived in a timely manner. Very pleased with the order. Always get what I ordered, good service, received when I was told I would receive it. Your company performed as promised on the web page. All equipment arrived on time and in the exact sizes as ordered. It's top quality equipment and I'm very pleased with the product and service. Nice stuff, good service, friendly and helpful customer service. Job well done....reliable service and good products! I got the products, excellent! Thanks a lot. Best quality Umpire Gear around. I am so happy with Ump-Attire.com and will only order through them from now on. The Best! Great product and delivered in a reasonable time frame. All equipment is good. Service is good as well. I got two steel clickers in the speed of sound. Thanks - didn't miss a game without one. Very pleased and satisfied with you all and the products that I have ordered from there. When it comes to officials gear, Ump-Attire.com is the best for quality and customer service. Customer service was FANTASTIC! Products were 5 star, Shipping was very, very quick! Outstanding equipment, great shipping time, also very good customer service. What I was most impressed was the spring loaded mask I purchased the previous year. It took almost all of the shock out of many hits to the mask. It was stolen from my car on a break in. Thinking about purchasing another one. Thanks for everything. Great product..great service, will order from Ump-Attire.com in the future. Great place to buy your needs for the ball games. Good prices!! I have been ordering from this company for years. I have always had a great experience. There has always been fast shipping and Great customer service. I am very happy with products. Shipping was very fast. I recommend other umpires to purchase thru Ump-Attire.com. Ump-Attire.com is the only place I shop. Good prices, Good products, and the Best Service in the industry!! Five star rating for all the products I just bought - excellent. I'm a year around official: football, basketball, and fastpitch softball, and I tell everybody about Ump-Attire.com fair prices excellent service. This is an awesome site. I got everything I needed for umping. The prices were good. I will use this site from now on. They ship orders fast and the quality is great. Thank you for helping. As usual, service and quality was number 1! Ump-Attire.com has the best prices for official uniforms, most prices are lower than the leading competitors. I will be a forever customer. Hands down one of the best if not the best officiating clothing and gear stores out there. Always extremely fast shipping. Everything was just as I ordered and arrived on time. I have ordered a couple of times on a Sunday afternoon and received my things by Thursday, even with free shipping. Very impressed, especially with the busy season of Spring. I will order more things as season continues. I have made 2 orders already and had fast service. Had to call and make a change on some pants sizes. Called and the lady I talked to was very nice and made the change right away. Had my package in 3 to 4 days. Second package shows it should be here Monday. Fixing to place my 3rd order Monday or Tuesday evening. I highly recommend these guys on any gear or things ya need. Order came promptly and the order was correct. Simple and to the point, easy to use order format. Placed my order and had it in 2 business days! Always great service! Great product very quick shipping. Excellent product and prices. My order was received in a timely manner. Reasonable price, convenience in shopping and great customer services. There is absolutely no better place to get your umpire equipment. Period. I have ordered from here quite a few times and everything always goes so well, and is delivered in excellent time. Each item on the website is well explained to give you the best option. Scott was very helpful when I asked about chest protectors to choose from, via Facebook message, and he broke everything down for me and made suggestions (that I ultimately went with). There is a store locally that sells the same gear, but there is just nothing like the Ump-Attire.com touch. You guys are awesome. Thanks so much!! One of the best places to order referee gear. I like the simple return policy. No RA required. Just send it back with a copy of your order and they refund your money right away. Awesome service, great products. I can't say enough! I will be looking good in my first year as an umpire and it's all thanks to you all! My order was shipped and to me quickly. I appreciate the customer service. Great selection to choose from! The staff is tremendous and is willing to work with you! They also strive to make sure that your order is right! Excellent service professionals shipping always pronto. Always a great job getting me ready for the season. Thanks. Everything was on time and correct - love shopping with you guys. Very good site umpires - look to them for prompt service and quality products. What can I say that everyone else hasn't already said. Fast shipping, excellent customer service, great products, and that is just tip of the iceberg. I was so lucky as a new Umpire that the league I work for pointed us new guys in this direction for our gear and such. The thing that I really love though is the constant communication on social media and everything else. Keep up the good work. You definitely have me as a customer for life! A great place to get the best equipment and accessories. I've been on the ball field for 20 years and for the last 8 years I have shopped here at Ump-Attire.Com. Fast shipping, great prices, and always current with new gear. I have shopped other sites but come back to these guys everytime. Try it...shop around and compare. These guys are the best! Grand-Slam! I can always rely on a good reliable products. Found exactly what I wanted - a blue and black beanie for under my mask. Great company, great site always have what I need. As always, Ump-Attire.com exceeds all customer service expectations...fast shipment, value pricing, and easy online ordering. I was very impressed with the service I received from Ump-Attire.com. The orders were completed and mailed in a timely manner. I inadvertently submitted my order twice. When I called, the lady was very helpful and was able to cancel the duplicate order. My money was refunded to my account immediately. I ordered the wrong size in the pants. 5 days before Christmas, I ordered the correct size and received the pants in 3 or 4 days. Jim Kirk runs a great business and provides top-notch, first class service. He always carries the latest and greatest in gear, clothing, and accessories...items that are exclusive and not carried elsewhere. Jim can expect another sizeable order from me in January! Always a great experience with Ump-Attire.com...And Scott certainly knows how to take care of his customers. Great products, great prices and great service. That's what brings us all back time after time. Good people, good products and good service. The perfect combination when buying umpire gear. Great quality. Prompt service & shipment My son loves his Christmas gifts! They have been great when dealing with my husband's needs. Great customer service and equipment. I'm a customer for life. As always service was great the turn around time was fast. No other official supplier can come close to this great company - outstanding service, outstanding prices, most lovable staff to deal with bar none!!!!!!! Always helpful. Fast and accurate shipping with fair shipping rates. Never disappointed. My "Go To" place. I will honestly never order anywhere else. Best customer service, selection, prices - everything. Was glad I found them! Everthing I've purchased has been top of the line Umpire Equipment. Our entire crew has been buying from these guys for the past few years. GREAT GREAT GREAT customer service! I made the jump to a premium hardshell chest protector after years of purchasing newer company's chest protectors at tradeshows and clinics. I gave Ump-Attire.com a try with some equipment last summer, and was impressed by the price, delivery time, and follow-up to make sure the products were delivered correctly. But when I bought a hardshell chest protector that just didn't conform to my 6'5, 300# frame, I called to ask for some help in choosing the correct product for me. The customer service lady transferred me to Scott Kennedy, and he offered his advice and experience with the chest protectors I had narrowed down to. No upselling, no pressure, and he gave me his honest experience with them all, and let me make the choice of the West Vest Gold, which I feel was not the choice I would have made without his advice and I'm very happy with it. And he took some time and gave me some great ideas on other products that will benefit me come first pitch. Thank you Scott, and thank you to the ladies that processed my return and caught an address error BEFORE it was shipped. As happy as I was with my previous supplier for 20 years, these people have made a new customer with their attention to detail, honesty, experience, and friendliness. Not many businesses care about answering little questions that are important to the customer, and it made me feel like a VIP. Outstanding job, folks! You will not find a better supplier of your sports officiating needs than Ump-Attire.con anywhere! Scott and his staff care about you and you will be taken care of from day one. Unbeatable customer service! Great products! If I owned a gear/equipment company like this, my business plan would be modeled exactly after theirs! Their employees make it all possible! Thanks Ump-Attire.com! I just received the New Balance plate shoes I won a couple of weeks ago. Scott was great in communicating with me and getting the shoes shipped out. I've purchased a ton of umpire gear for them, always had great service. Best place to buy umpire/referee gear. They are so friendly and their customer service is awesome. Great product and even better customer service. Ordered 4 pink umpire shirts, some shoelaces, and socks on a Tuesday and was worried about getting them for Play For A Cure Tourney that weekend and got everything that Thursday. Great turn around time! Great customer service and product quality!!!! I shop here often and highly recommend to all fellow officials. They have what you need when you need it. And I do multiple sports. Great customer service and selection. Sherie is a ROCKSTAR too!!! Excellent service, received items promptly. I've purchased quite a lot of umpire items from your website. It is by far the best place for whatever I need, from apparel to equipment. Your prices are great, the items are of great quality, and customer service is outstanding. I love that I can order from them and trust them. I don't have to worry about when or if I will get my order. My items will get here promptly. I also love dealing with their customer service. Great place to get equipment for any sport you officiate. Great service and accurate order filling. Service was great and so are the products. I have nothing but praise for your customer service. I purchased a watch/timer for football. It appeared the battery was dead. I contacted customer service and within 2 days, I didn't get a new battery, I received a brand new watch. A+ in customer service. I will continue to purchase from Ump-Attire.com. I have used Ump-attire.com a number of times, my orders have always been correct and delivered on time. Excellent service, prompt response and ensured I had the shirt for a weekend game. Thanks. Ump-Attire.com provides quality products along with fast service. Great products, I've been to our Europe/Africa regional and many other softball and baseball tournaments. They always look good. I have ordered shirts and pants for an outstanding lady umpire as well as myself. Thank you. The best place to shop for gear. I officiate baseball and football and this is the only place I buy gear. They are quick with shipping and always reasonable in price. If you have never shopped at Ump-Attire.com you are missing out. They are great people with great service and products! Be sure to check them out when you consider buying your referee or umpire equipment. This is a great place to shop for umpire gear. I honestly wish they offered more sales and discounts, or at least price matched items. I have to admit that if you are ever in need of something last minute, they are pretty good at being "Johnny on the Spot" and get you what you need. Overall, they run a very good company. Always reliable. Accidently ordered the wrong size plate hat and they helped get me a bigger one. Great customer service!!! Also bought beginner plate gear that's good quality for the price. Wouldn't buy from another company!!! Customer service is phenomenal. Ordered equipment and had an issue shipping it. They overnighted the equipment to me. Awesome experience. Great company to deal with. Customer service is phenomenal. They always have what I need in stock. Over the years I have looked to Ump-Attire.com for almost all of my Umpire and Referee supply needs. I have always been satisfied with quality, price, and service. Thank you Ump-Attire.com Nation! You're PERFECT! I'm always very satisfied. I've purchased before and always had a great experience. On my last order, I returned some items for a complete refund. Response was done quickly and promptly - Thank you. Great and friendly service reps! Gear was delivered in timely fashion, all items are as advertised. Very pleased. Thanks! Quick, affordable, and a great product. Outstanding personal service and incredibly fast shipping. They went out of their way to find the product that specifically meets my needs. Great job Jim Kirk, Scott Kennedy and team! Quality products, great service, quick deliveries, low stress experience. Repeat customer. Thanks again! Great site - they always have what I need. Great customer service. My #1 go to place for my college football gear, most affordable on the planet!!!! I will not buy umpire equipment from anywhere else! I recommend this site to all my fellow umpires! They love my equipment and always ask where I got my awesome masks! Thanks guys! Great service. Shirt fits and looks great. I would highly recommend their products. Good value and delivered on time! I was impressed with the pricing and speed of receiving my order as well. I will use you again soon. Absolutely wonderful customer service. Was in dire need of some new equipment for a tournament and the extra attention you provided was very much appreciated. Great service and recieved shirts quickly. The products were good and the service was excellent. Very easy on-line shopping, and order was fulfilled promptly. I won't buy equipment from any other after having ordered from the great crew at Ump-Attire.com! Customer service is second to none, they always get my order right, and provide shipping labels on returns for wrong sizes/unneeded items, etc. I have been using them for a year now and will never stop. Jim, Myra, and the gang are the best! Top of the line company. Every order and every product has been a homerun. I have dealt with Ump-attire.com on several occasions, and every time it was a first class experience. From ease of ordering to receiving of the shipment. Plus the service department. All around great service. Service and product consistency has always been great. Easy to order and they keep you updated on your shipment. Not a one time sale but a relationship. Website is easy to navigate....ordering was easy and delivery was prompt! Great service...thanks! As always, excellent service, and a great product. Thanks! I was very pleased with my prompt delivery! I ordered the Force 3 Shin Guards and I love the protection that they offer! I've been purchasing items from Ump-Attire.com for a few years, but my best purchase was not one, but two items. One is my Diamond Mask, light and comfortable, saved my neck. The next item is my NuttyBuddy. It saved my other neck. I've been hit several times there and I stand right back up and tell everyone "Lets GO". It's so comfortable, I've literally worn it all day and forgot it's there. Worn properly, it WILL protect you. Last time I got hit so hard, it broke the supporter, but the NuttyBuddy stayed intact. Well worth the money for this one. Correct products shipped and arrived as anticipated. You are the BEST, without a doubt! Thank you!!! Once again, Ump-attire.com does not disappoint. Fast shipping, fair pricing, top-notch customer service. There is no reason to shop elsewhere to meet your officiating needs. Ump-Attire.com is your one stop shop. Great experience, very prompt and got here before the game! Play Ball. Awesome company to purchase umpire equipment from. I have received all of my umpire equipment from Ump Attire.com, by far one of the best decision I have ever made. First class products and service. Will be ordering again in the future. Excellent customer service. Easy to talk to and very reasonably priced. As usual great products & excellent service! Thanks. Our order went perfectly. Items are as described and shipping was very fast. Will definitely order again from them. My new XL ball bags are terrific. Well-made and certainly durable with all this rain we've been having in New England and as always first class customer service. Very fast delivery which I needed and was helpful! Excellent quality, reasonable price, outstanding service - I would not go anywhere else for my umpire uniform numbers. As usual great products and excellent service! Thanks. My new XL ball bags are terrific- well made and certainly durable with all this rain we've been having in New England. As always first class customer service. Awesome service. Always arrives on time, and usually before expected. I was impressed with the prices, the service and the fast delivery of my equipment. I was pressed for time. I received everything within 2 weeks. I will buy from Ump-Attire.com again. I've been using my new Force 3 chest protector and love it. Lightweight yet it does the job. Everything I buy from your company is always good. Great products and timely service. Just received my new Diamond lightweight mask and can't wait for the season to try it out. Will add more after the season begins and let you all know if I like it or not. Excellent service and fast shipping. Thank you very much. Competitive prices & excellent service. I buy all my sports equipment from you. You're fair and always come through. Love ordering from you guys as always. Though the numbers are still a little expensive - I think they look great on my shirts and you guys are reasonably fast getting them there. Thank you. Very quick shipment. Much appreciated. I'm blissfully happy with every aspect of my order. Never a problem and very fast delivery every time! I never have a problem ordering or using your product - always A-Plus. Always great service!! Thanks for the speedy delivery. I recommend you guys all the time. Staff is always courteous and pricing is always competitive. Staff seems to listen to suggestions and comments from customers, too. Great prices, nice selection, and fast service. Good service, good pricing, fast shipping, what's not to like? I paid a fair price, and shipping was on time. Great products for the price. Shipping was quite high for delivery, but I was surprised on how quickly the turn around time it took to receive the order. IMPRESSIVE! Product and service were great. The 3N2 plate shoes are AMAZING!! Order came quick and exactly like it was placed. I loved the selection also. My experience with Ump-Attire.com has been fantastic each time I have ordered. I definitely will continue to shop with Ump-Attire.com for my officiating needs. Great product, great price, fits well and keeps me warm. Great products and comfortable easy website. Nice to have supplier that has in stock what they show on their website. Good service and a fair price. Have more orders to be placed for 2016 and will be sending them in soon. Thanks again. Was a pleasure doing business with you all! I would give you a 5 star rating for your service! Again thank you! Your service is just great. Bought some jackets through you all and didn't know what size in the jackets, so I ordered XXL. They were both too big, so I inquired about return and reorder of another size in the jackets and the feedback from customer service was outstanding. Return was simple and the new order arrived to me within a few days. Products were great!! I would recommend Ump-Attire.com for any of your umpiring needs!! Selection and inventory are the best in the business and as always customer service is excellent. Orders are shipped promptly and accurately!! I gave you five stars out of five. Your service was tremendous and very professional. I love your company and have referred many of my peers to your site for quick, professional service! Excellent prices and on time delivery. Good service, good prices, as always - Thanks. My rating has always been high, that's one of the biggest reason why I continue to purchase my equipment from Ump-Attire.com. Awesome product pricing! Amazing customer service! Great product, speedy shipping, good pricing. I've found my new source for pants! Just wanted to let y'all know that I've had nothing but great experiences with y'all when I comes to ordering things for different sports. Smooth, easy and a joy to order from. Thanks. Excellent, shipped on time and received earlier than I thought I would. Excellent products and service. Had a question about product and they replied to my email instantly. Will definitely spread the word and order from them again. Very timely and complete order. Great customer service. Much appreciated! I am extremely pleased with all the products I have purchased through UMP-ATTIRE.COM. I always get my products in a timely fashion. I highly recommend this site to all officials. I have found my purchases of excellent quality. The sales representative who took my order was knowledgeable, polite and courteous. I have recommended you to my friends who also officiate. I will use you again. Thank you for your effort and time getting my feedback. You guys are fantastic. I ordered the wrong size baseball jacket and you went ahead and shipped the correct one back to me when I called in and you took care of the shipping of the return. I have already told several of my Ref/Ump friends about you. Thanks for making it easy. Now my wife wants a Medium Black Powder Blue one to wear at the barn and at her Polo Team matches. I recommend you for all of the sports I do. I've never had problem and your turnaround time is excellent. I had some difficulty placing my order (I'm old and semi-feeble) and your customer service representative was most cooperative and courteous in assisting me with my purchase. I officiate five sports (football, field hockey, boys and girls lacrosse and volleyball) and will recommend you to my fellow officials. Thank you for all your help. You are the best online supplier. Number 1 on my list when I need referee attire. You're the one. For sports officials, this is the place to shop. Great inventory, great quality, great prices and on time delivery. Great to do business with. Fast shipping. I always get what I order quickly. The quality is high and the price competitive. I'll do all my umpire shopping here. Thank you, Myra. I'm not very good at ordering and communicating via email. You have made my first experience pleasurable. Myra, thanks so much for your help. The Ump-Attire.com team comes through once again! I can't say enough good things about my experiences over the years. You all ROCK! It is a refreshing experience to actually have someone like Ump-Attire.com to treat me like I am important to your business. Your service was so fast that I got my items BEFORE I got the tracking number! WOW TALK ABOUT FAST! Everything was just as I ordered! Keep this up! You have a customer for LIFE!!! EVERYTHING I buy from Ump-Attire.com, could not be any more pleased with where I spend my money. If you want the best equipment available, and you want it right away, just contact Ump-Attire.com and your satisfaction is guaranteed. Keep up the fantastic work guys. I look forward to my journeys through your web-site, I always come away satisfied as humanly possible. Don't waste your time or money any longer, log on to Ump-Attire.com, you will be more than satisfied. Thanks again Ump-Attire.com. Everything fits perfectly. Got the stuff faster than I expected. I will definitely be buying from them again. Ump-Attire.com has the best customer service in the business. This company walks their talk. Excellent service! My initial order was lost in transit (USPS fail) and they made it right and got me what I needed in time for my assigned game. Thanks! Great site, got my gear quickly! Will go to them for all my equipment needs!! Thanks. I emailed to inquire where you can purchase replacement clips for West vest straps. Four days letter I receive clips......for FREE. That's the sign of a great business. Kudos to Ump-Attire.com. That's how business is done. Thank You! There is no other choice in the business. Hands down the best customer service and delivery times...Umpire, referees, or officials of any kind, if you need officials gear, equipment, or clothes there is no other place to get it. Twice this year I have ordered and had it shipped to my hotel and it never took more than two days. Thank you Ump-Attire.com, Jim Kirk and Myra you guys truly care about officials. Wow! This is the second time now....the customer service is unbelievable! They are so prompt and have worked with me on issues that most companies would say....sorry. The ONLY Sporting Goods site to go to when you need ANYTHING for Officials. My umpire assosiation will not use anybody else. Lowest Prices, Fastest Shipping, Professional Customer Support/Service. They'll Go That Extra Mile to stay on Top. Keep Up The Fantastic Work, it is greatly appreciated. Thank you Jessica, and may I say with both you and Myra, that your company without a doubt has the best customer service of any companies I have dealt with lately. Kudos to both of you. I had an issue with a pair of plate pants & called right away to state that they were a bit snug. The operator with whom I spoke, COULD NOT HAVE BEEN ANY MORE HELPFUL AND MADE ME FEEL VERY CREDIT-WORTHY. She stated she would send out (right away) the next size & for me to then send back the pair that I had, once I received the new pair. VERY CONVIENENT!! THANK YOU MUCH for the time-saving steps, instead of me first sending my pair back and then sending the new pair. I'm sure you all hear frequently that your shipping times are second to none!! Wow that's nice! Superb service! Friendly staff that go the extra mile. Fast delivery. I received my order around 11:30 a.m. today (July 1), and I couldn't be happier with everything associated with it. The speed of service, the products, and the overall experience with your company are top shelf. Thank you for your professionalism. I look forward to doing business with you again. You are awesome! Thanks so very much for the great suggestion to order two pair of pants! Really appreciate the Customer Service Ump-Attire.com provides! Amazingly fast shipping! I placed my order Friday morning and had the products in hand the next morning. Great service, great prices, and great products. Keep up the great work! You are my go to officiating equipment supplier. Thank you very much for the fast turnaround. I ordered yesterday and in 24 hours, the order was at my front door. Everything fits. I appreciate that you have inventory clearly noted on your website and delivered without delay. Another vendor took my money but didn't deliver and made excuses as to why there was no order being shipped, while my emails/phone calls were not being returned. You made it simple and fast. I will absolutely use you as my preferred vendor. Thanks again! I've been very pleased with how prompt you have been with my order. I have told many other officials in the area about your service and will continue to spread the word about your company! Thank you! Appreciate the prompt response! I am very pleased with Ump-Attire.com customer service and prompt delivery of our items. Forever customers of Ump-Attire.com! Thank you. Awesome service, Ordered on the 23rd received order on the 27th with everything as it should be... very quick and precise...Website is very informative and easy to find things on. Must say you guys are great. Your website is the best! Ordering online is so easy, and if you have to call in the people are very informative. You have totally won over my business. Best prices I can find and quick shipping. Will not buy anywhere else. Only thing that would make them better is if they carried Texas (TASO) items. Feeling great officiating this week as the KY high school basketball season gets under way. I would only trust Ump-Attire.com with all of my uniform and equipment needs. Quality products & their Customer Service is THE BEST! On Dec 31st, Sally and I decided to make the 3+ hour drive to Louisville to try on some equipment. I contacted Ump-Attire.com ahead of time to make sure they would be open and they requested a list of equipment we were looking at. When we arrived, they not only had the equipment ready but also some alternate sizing based on some comments I had made. After over an hour, we finally had everything nailed down. At no point in time did we feel any pressure to buy xyz, but only helpful advice based on their experience. In short, their customer service ROCKS!!!!! Sally and I both say THANK YOU!!!! My husband Matthew just put in a huge order with you guys in preparation for umpire school this January. Even though he'll be all the way across the country, I know he'll be geared up and ready thanks to you folks at Ump-Attire.com! I [spoke] to Jessica. She was great...I love you guys, wouldnt buy from anyone else..Thanks a million. Thank you for noticing the error in my order. I appreciate your attentiveness and I will be buying my equipment from you in the future due to this virtue! You guys are running a top-notch business and I refer all of our guys, new/veteran, to you because I know how great of a business you have! Thanks and I look forward to working with you in the future! My compliments on your updated website. I was very surprised when I saw it. It is very user friendly. Good job!! Jessica- what a great email! Customer service is not dead!!!!!! Thank you for being there for sports officials. We need you. I can never find stuff locally. You have a great day! Thank you so much, Myra! I am so impressed with your customer service. In today's world of technology, customer service like yours seems to be lost. I just wanted to let you know how much it is appreciated. Have wonderful week. Love the new site! No problems at all. Loved your service years ago and still going strong! The most AWESOME customer service in the industry! This morning, facing a game in the evening with cold temps, I drove from my Northern KY home to the Ump-Attire.com store in Louisville (about an hour away) to purchase some cold weather gear. Upon arriving I noted the walk-in store was closed on Mondays. I tried the door anyway and explained that I had driven down solely for this purpose. A long story short, I left with everything I drove down to purchase. And, put it to use this evening. There will never be a need for me to ever look anywhere else for equipment in the future. AWESOME JOB GUYS. I am, once again, impressed beyond words with your commitment to serving your customers. Customer service couldn't get any better! Responded to my e-mail very quickly. I ordered Tuesday afternoon with free shipping and it arrived Thursday afternoon. Wouldn't think about ordering from another company! You guys are the greatest. Stay in business forever! Been ordering from Ump-Attire.com for several years. Great products and by far the best customer service in the market place. Recently placed order on Tuesday morning (free shipping), delivered on Thursday! Thank you! This was my first time ordering from Ump-Attire.com and I have bought umpire items from other places around my area and I love the customer service that you provided! I love the fact that you ask if the shipping address is correct depending on what provider you chose. I am very satisfied and I love the product I chose because I have been searching for this face mask for years and then Ump-Attire.com got it! I cannot be any more happy! Thanks! I've used Ump-Attire.com several times and I am very satisfied with their product and quick delivery! I will continue to use Ump-Attire.com and will tell all my umpiring buddies about this wonderful company. Ump-Attire.com - customer service - is awesome...their dedication to customer satisfaction is unparalleled! My experience with Ump-Attire.com has been very positive. I received high quality merchandise in a very speedy manner. I just wanted to thank you. I was very impressed with Myra from customer services. I ordered the wrong uniform. I needed a plain one rather than one with a logo. Being in England it would have cost me a lot of money to have it resent. It would also mean my career as an American football official in England would have been delayed. I am very grateful to Myra for spotting the problem and sorting it out for me. It's good to know a person rather than a computer is dealing with you! Great place to order any referee equipment as well as accessories. I order all my basketball referee equipment and accessories from this site and delivery is so fast. Received my Wilson Gold in 3 days. Wow! Perfect. Thanks! I like the website and service. Yearly buyer. These folks from start to finish are the best I have dealt with! I've not only ordered, returned, but exchanged merchandise with them, and "bar none" the most satisfying experience. Their customer service is professional and courteous. They definitely put the customer's satisfaction above all else. I have shopped with other companies online, but they now have my exclusive business. Try them, you will be glad you did! I have ordered from Ump-Attire.com on a number of occasions and have always been impressed with their selection of equipment and accessories that I need to safely umpire baseball at a number of levels. Their descriptions and information for products are extremely thorough and cover all of the bases to help me make a decision on which equipment, footwear or apparel that I need to purchase. Their shipping has always arrived on, if not before, the expected arrival date and the order is always correct when it arrives. I have recommended Ump-Attire.com to a number of colleagues and especially to starting umpires as their prices are extremely competitive for someone new to the field and the equipment they carry ranges for protection at all levels of play. If you have to choose someone to order any umpiring necessity, I strongly recommend Ump-Attire.com. Thanks once again for such great service. Ordered online at 1pm on Thursday and received my order in time for my 1pm game on Saturday, with standard shipping. Was not expecting to get to use my new Majestic Thermabase, but it sure came in handy. Order was perfect and items were top quality. Thank you. I like to say that my first experience with Ump-Attire.com was great and customer service is fabulous. When you need help, they will be there for you. Not tomorrow -today. Thank you, you got a new customer and many more to come. You guys are GREAT!! Whenever I place an order with you, my full order comes and at a fast pace too. I have ordered very few things from other places and I found Ump-Attire.com is the only place I'll go from now on. Great prices, and AMAZING (and I mean AMAZING) customer service. Very helpful and the site is easy to order from. I even placed an order over the phone because my Internet was not working and the person on the other end was very respectful, helpful and I received my order in 2 days and I didn't even put a rush order in. I LOVE YOU GUYS!! Getting prepared to umpire the 2012 Sr. Girls Fastpitch Softball Little League World Series. The staff was wonderful in helping me find the correct pair of base shoes since I have medical problem with my feet. Thank you! "Your staff is the best!! Always willing to help with anything. Thank you." I've bought several items and they are all fantastic! Great customer service and great quality! Before Ump-Attire.com I used another company, but now my only source for my umpire gear is Ump-Attire.com! I love you guys! I give you my word, I will buy from no one else! Your customer service is second to none. Jim, you should be very proud of your people and what you've built. We know any business is hard to excel at. You have done it with excellent service, information that explains what we need to hear, and competitive prices and value. The more blogs by you, the more people you will help. Thanks for everything. I just received my first order from Ump-Attire.com yesterday and I was so excited. I was referred to Ump-Attire.com by a fellow umpire and I'm sure glad he did. This is the first time I've ever purchased shoes over the internet and was very skeptical. Tried them on yesterday (both plate and base shoes) and they both fit great. I also ordered the Wilson MLB gear bag and Majestic jacket with blk/wht stripes. I feel I have a professional look behind my umpiring now. I'll be giving product reviews after this Saturday's games. Ordering online was a piece of cake. The product reviews really helped me with my choices. Thanks Ump-Attire.com, and I'll definitely be using you for future equipment. Great customer service, easy to work with - simply puts their customers above themselves.